Another French baked good that I thoroughly enjoy eating are Florentines. 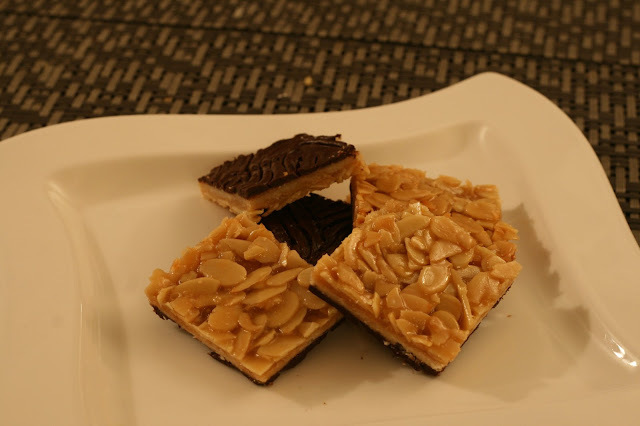 Florentines are fragile biscuits that have a nutty, caramel flavour, that sometimes include fruits and of course a thin layer of chocolate. They are also extremely addictive! 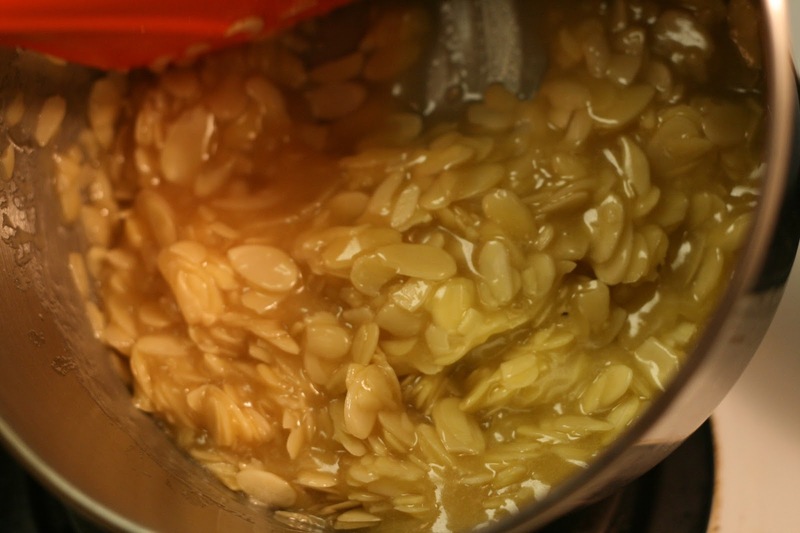 In order to start the process of florentines, you need to first make the dough - the pâte sucrée As mentioned previously, this florentine recipe is based on Thomas Keller's Bouchon Bakery. 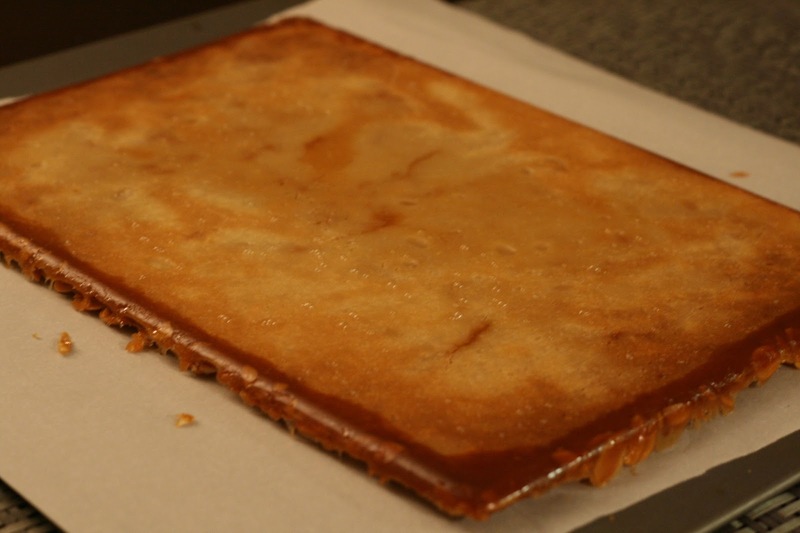 To see how to make the pâte sucrée click here for my previous blog post. 1. 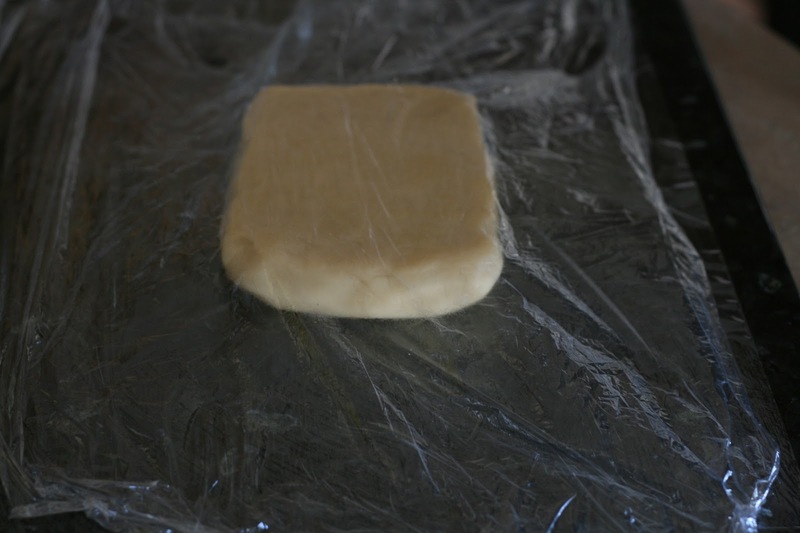 Once the pâte sucrée has chilled in the fridge for 2 hours, roll the dough out into a rectangular pan. 2. 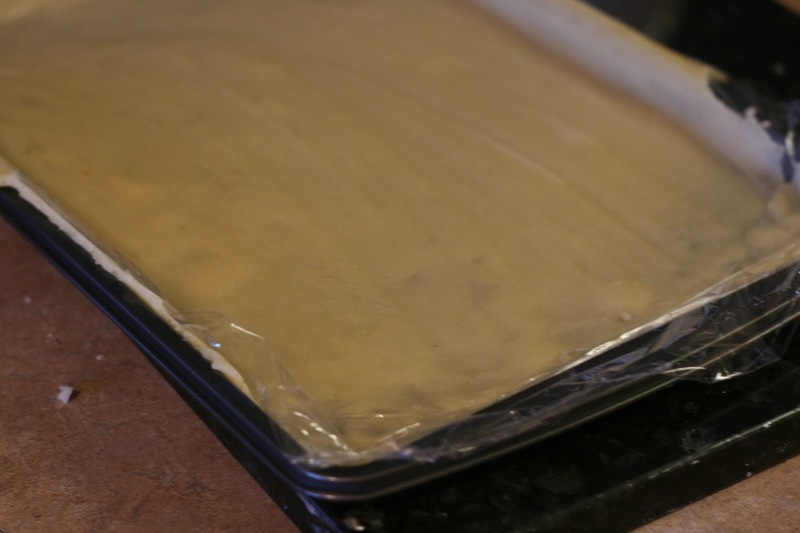 Press the dough into the rectangular pan. 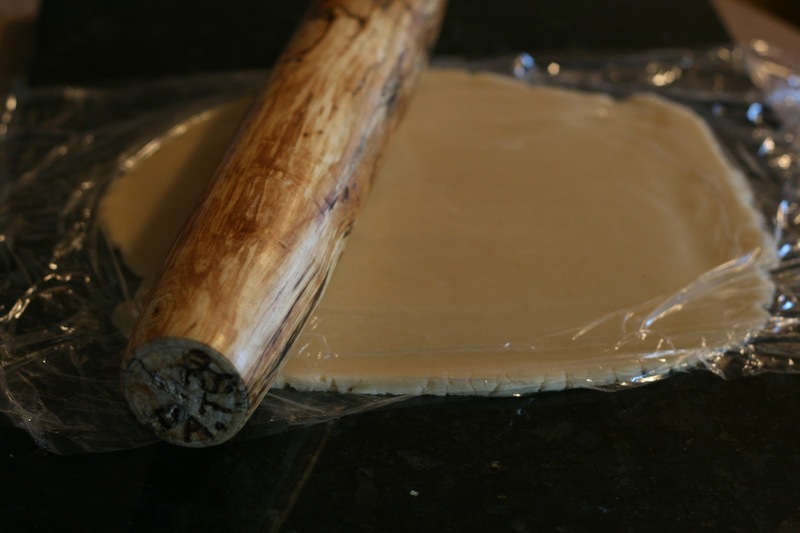 Patch up any spots with extra dough. Using a blunt knife or pizza cutter to cut off any extras. 3. 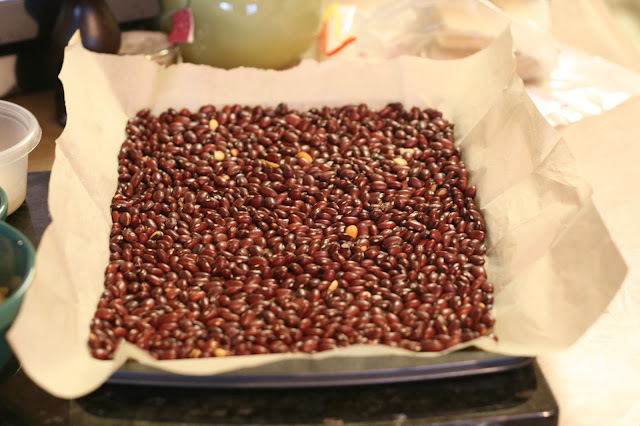 Place a piece of parchment paper over the dough, and fill the pan with baking beans or baking weights. This is called "blind baking". Bake the dough for 350F for 15-20 min or until golden brown. 4. 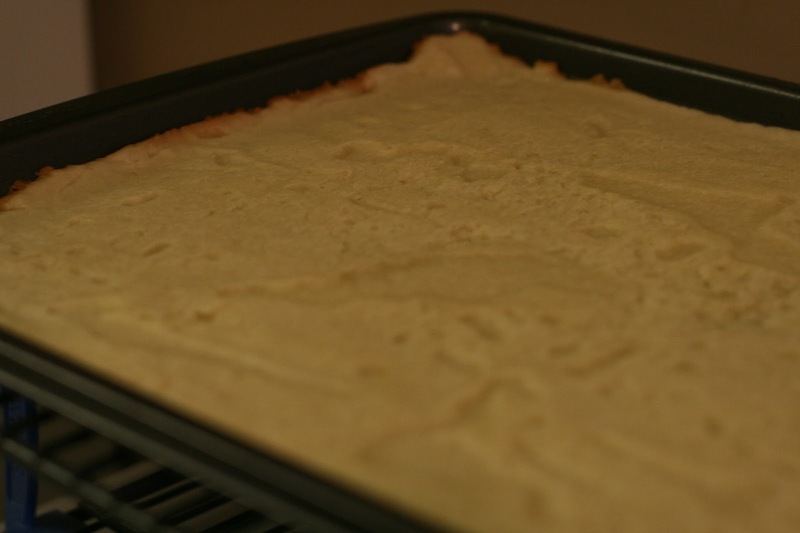 Once the dough has baked and the sides begin to turn a golden brown, take the pan out of the oven. Allow to cool. 105g unsalted butter @ room temp. 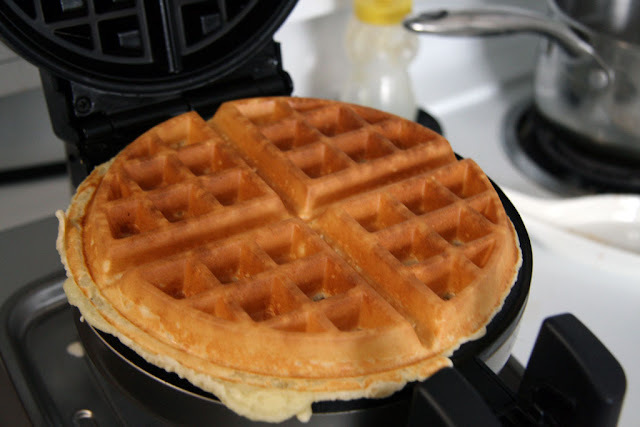 Notes: I used corn syrup for the glucose, and 1% milk instead of whole milk. 1. 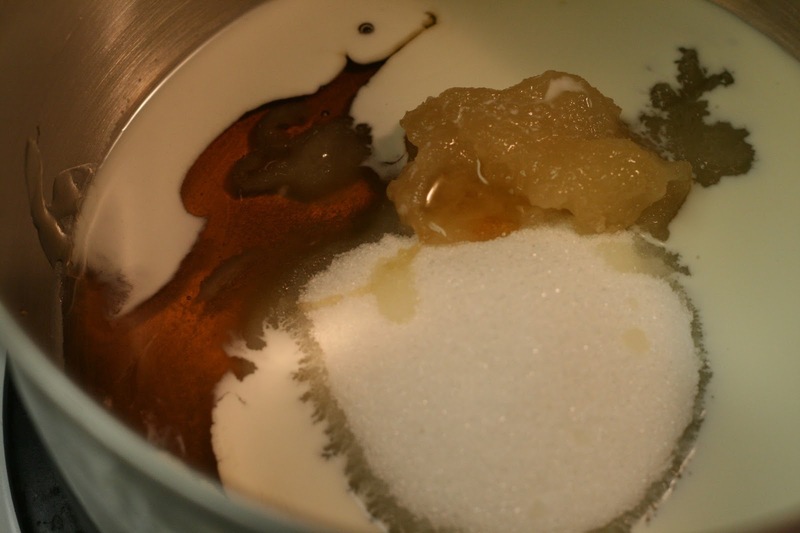 Combine milk, sugar, glucose and honey into a small pot. Cook at medium heat stirring continually. 2. Stir continually to dissolve the sugar. 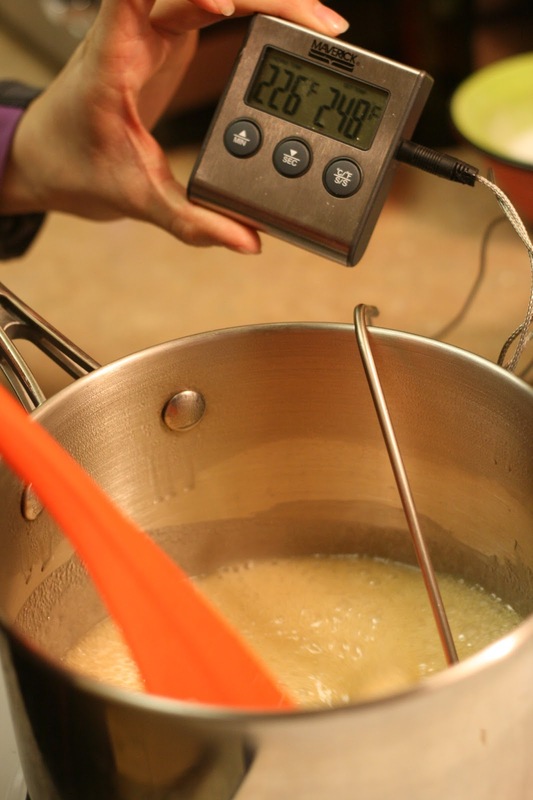 Cook for 8 minutes or until you reach 248F (120C). 3. Remove from heat, add in butter and salt. 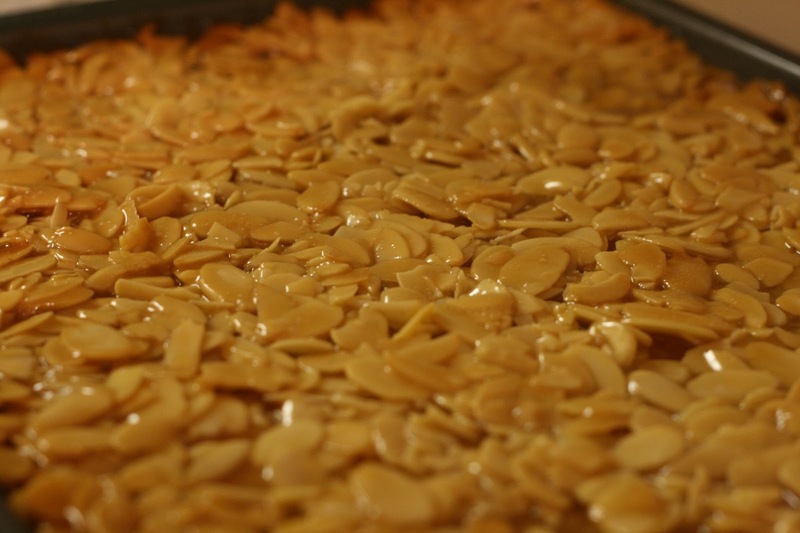 Stir in the almonds. 4. 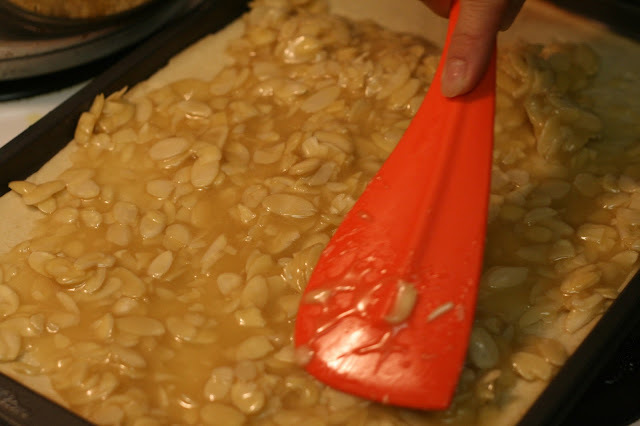 Slowly pour the nut-sugar mixture over the cooled down pate sucree. Use a spatula to reach all surface areas. 5. Bake for 25-30 minutes at 325F. Rotate the tray around 15 minutes to ensure even cooking. 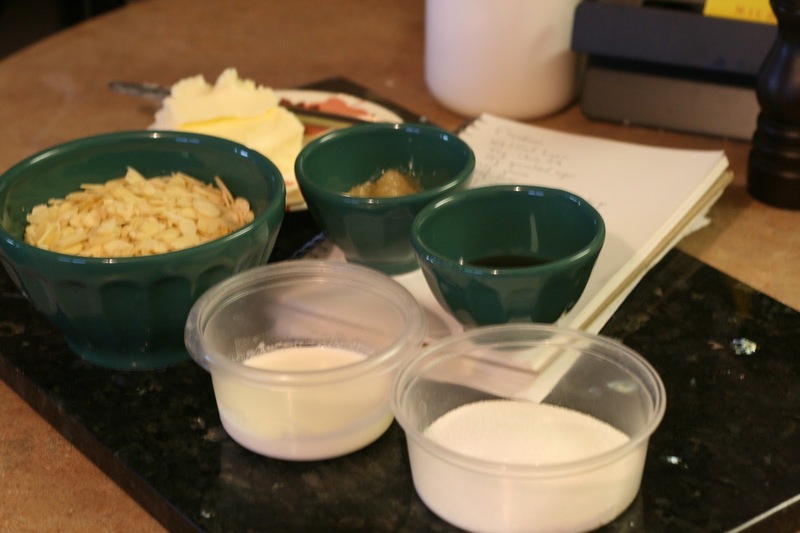 It is done baking when you see the mixture bubbling and turning golden brown. 6. Allow to cool (approx. 20-30 minutes). 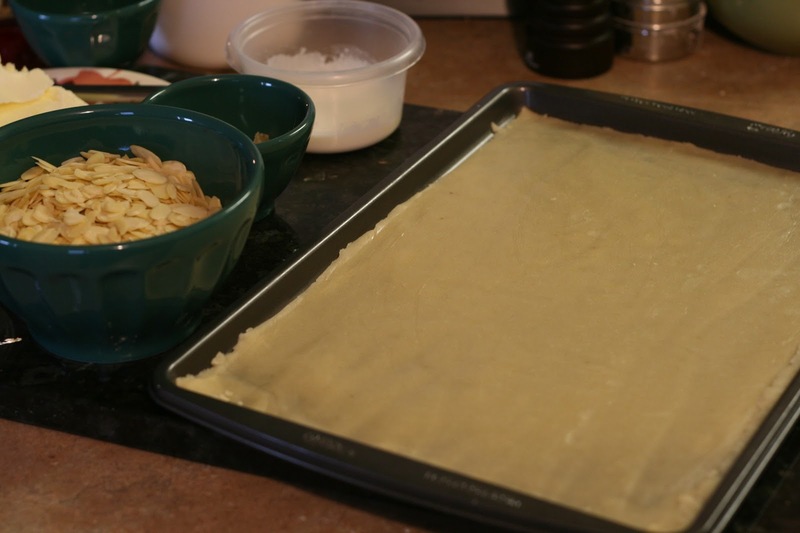 Then, flip the tray over onto a piece of parchment paper. 7. 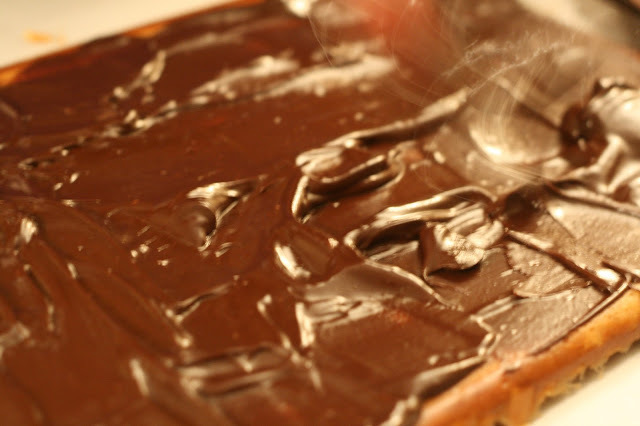 Spread melted chocolate (mixed with whipping cream) over the back of the florentine. To make cool patterns on the chocolate use a fork and draw an "s" shape into the chocolate. Have fun! 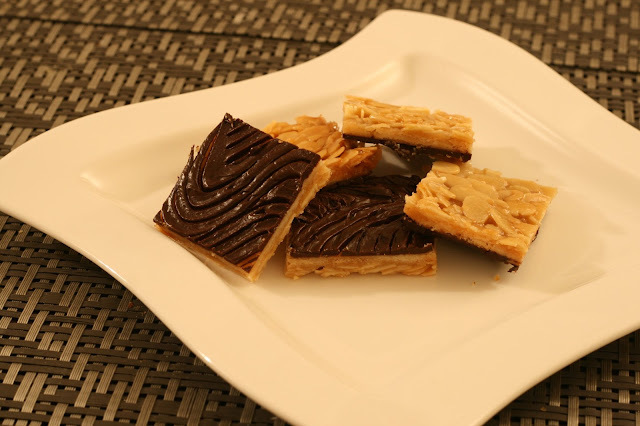 Once the chocolate has cooled, cut into squares. You can store these delish items in your fridge in a covered container for up to a week. It probably won't last that long as they are so good! If I had to describe how these taste I would say they have a hint of caramel, combined with the nut layer and then chocolate. There is also some almond meal in the pâte sucrée (sugar) crust which makes the entire florentine smell even more amazing. 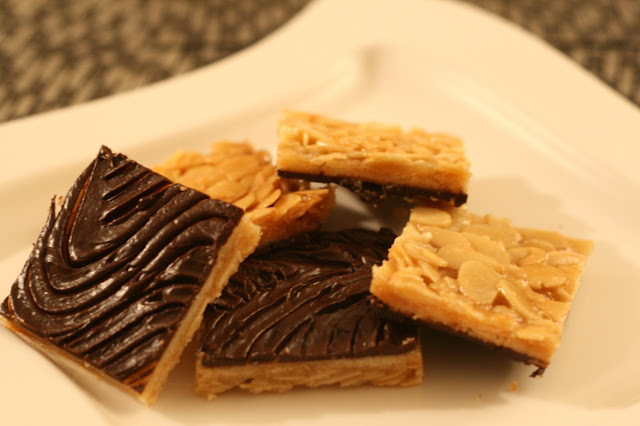 One friend said that it tastes like a mix of a turtle chocolate and skor toffee bar. What do you think it tastes like? 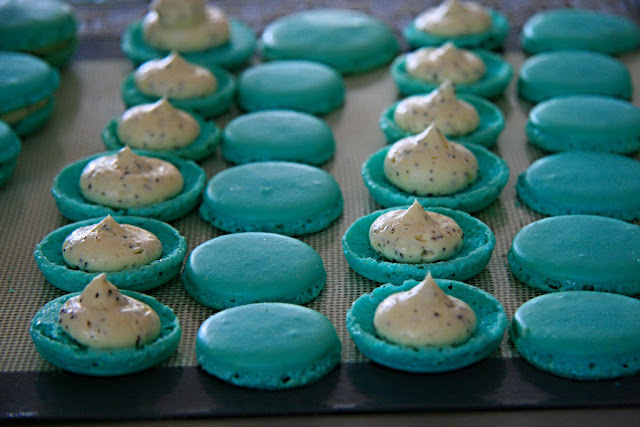 Try making these and you will find out.